Who’s teaching me in these tutorials? 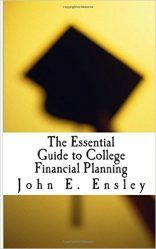 John Ensley is President of J-Ensley Finanical LLC and an advisor partner with The College Planning Network. John’s professional background includes years inside the student loan industry managing collection operations for large portfolios of defaulted student loans on contracts with the US Department of Education and numerous state and private student loan guarantors. John Founded J-Ensley Financial LLC as a unique kind of financial services firm, combining what he learned working with thousands of defaulted student loan borrowers, with the best financial tools and strategies, to help American Families pay for college without going broke – and without getting buried in student loan debt. Who is The College Planning Network? • The College Planning Network is the nation’s largest and most reputable college admissions and financial aid servicing center. We are proud members of the Better Business Bureau with an “A” rating. • The College Planning Network & our parent company have been providing college funding services since 1994. • We have worked with 822 colleges from all across the country – including every single one of the Ivy League Universities. • CPN co-founder (Scott Weingold) was ranked the #1 “College Financial Aid Expert Worth Knowing About” in the entire country by CollegeStats.org. • The College Planning Network has trained hundreds of financial planners, CPAs and other professionals on the complex college funding process in all 50 states. Want a FREE copy of my book? Sign up for my College Planning Tips, Tricks and Insider Insights and get a FREE copy of The Essential Guide to College Financial Planning E-book!